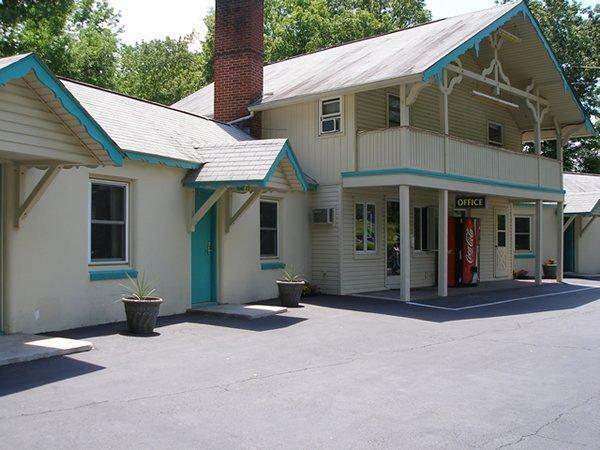 We are conveniently located on route 6 & 209, just minutes from the center of historical and picturesque Milford, Pennsylvania. Where the fabulous outdoors, sumptuous local restaurants, and antiquing all come together to make for a fantastic visit. Please allow us to make your stay in our little piece of paradise a comfortable and relaxing experience. 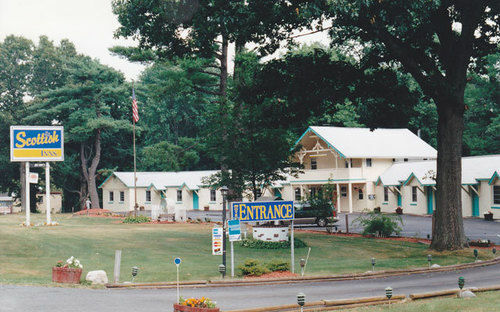 Scottish Inns is conveniently located near the Pocono Mountains. With endless possibilities for skiing, rafting, canoeing and camping, you will have the time of your life. 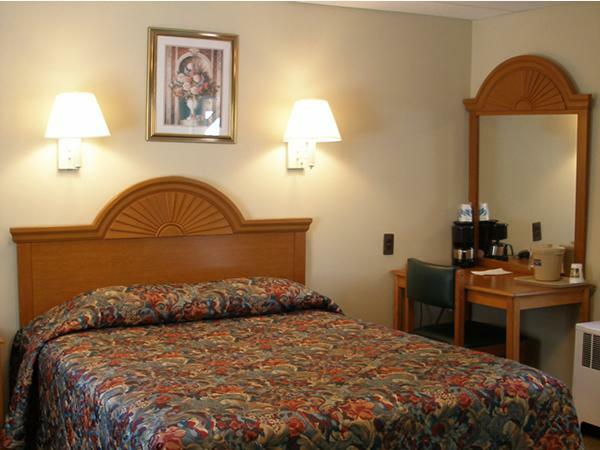 Our staff is here to make your stay pleasant and memorable. 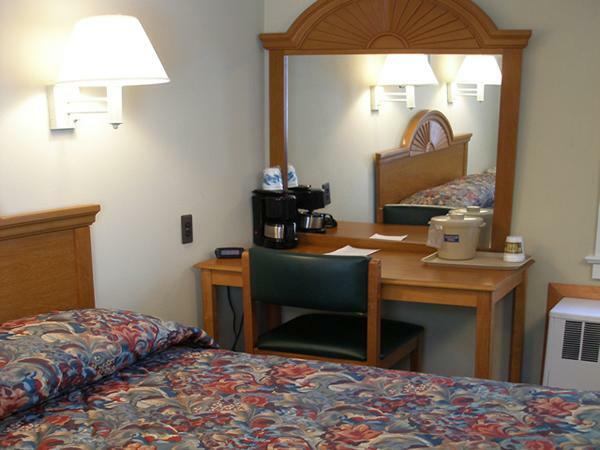 Whether you are traveling on business or leisure, Scottish Inns provides clean, comfortable accommodations at affordable prices. Your satisfaction is always guaranteed. 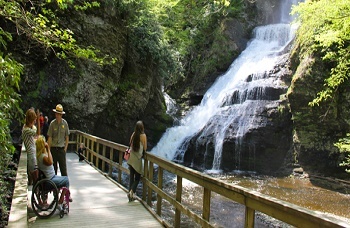 The Delaware Water Gap National Recreation Area is a 70,000 acres protected area designated a National Recreation Area administered by the U.S. Department of the Interior's National Park Service. It is located along the middle section of the Delaware River in New Jersey and Pennsylvania stretching from the Delaware Water Gap northward in New Jersey to the state line near Port Jervis, New York, and in Pennsylvania to the outskirts of Milford. 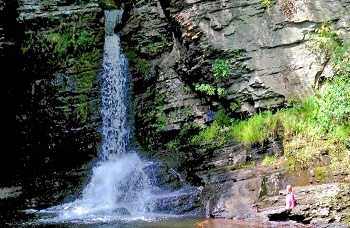 The George W. Childs Recreation Site is a former Pennsylvania state park that is the site of a number of cascade waterfalls along Dingmans Creek; it has been part of the Delaware Water Gap National Recreation Area since 1983. It is located in Dingmans Ferry in Delaware Township, Pike County, Pennsylvania and is named for the late newspaper publisher George William Childs, whose widow deeded the land to the Commonwealth of Pennsylvania in 1912.The site contains three main waterfalls: Factory Falls, Fulmer Falls and Deer Leap Falls and is a few miles upstream from Dingmans Falls and Silverthread Falls. 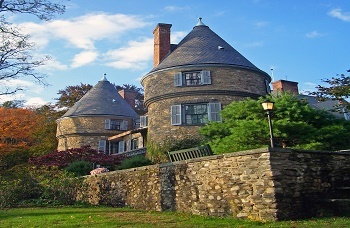 Grey Towers National Historic Site, also known as Gifford Pinchot House or The Pinchot Institute, is located just off US 6 west of Milford, Pennsylvania, in Dingman Township. It is the ancestral home of Gifford Pinchot, first director of the United States Forest Service (USFS) and twice elected governor of Pennsylvania. 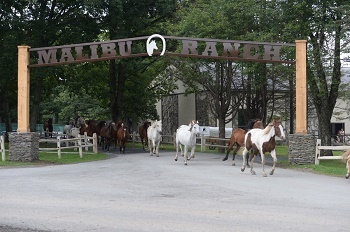 Malibu Dude Ranch was established back in 1928 on an 800-acre parcel and is the oldest authentic working dude ranch east of the Mississippi River. Over the years, it drew people from neighboring states who were looking for the Old West cowboy experience and horseback riding on woodland trails. All children are welcome. All children or adults are charged USD 10 per person per night when using existing beds. There is no capacity for extra beds in the room. Additional fees are not calculated automatically in the total cost and will have to be paid for separately during your stay. We'll return to Scottish Inns again and again! Our room was spotless and the wifi was strong enough to stream to our heart's delight! Great value! frequent the Scottish Inns and have been to other hotels in the area, and this one beats all. It's clean, and very well priced. The inn keepers are the friendliest I've ever dealt with. Definitely the only place I choose now. 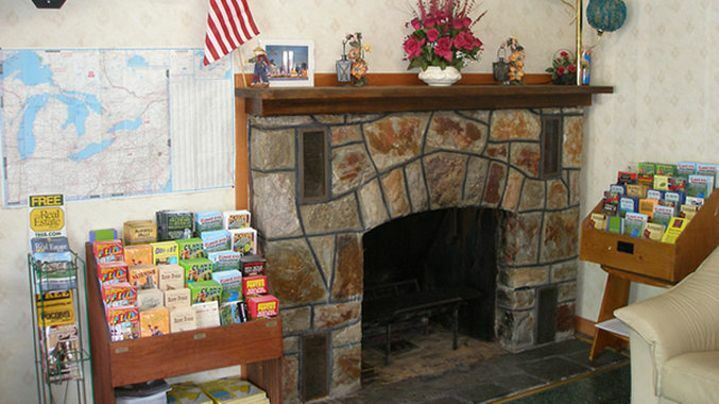 Scottish Inn at Milford is a great place to stay when en route to a final destination. 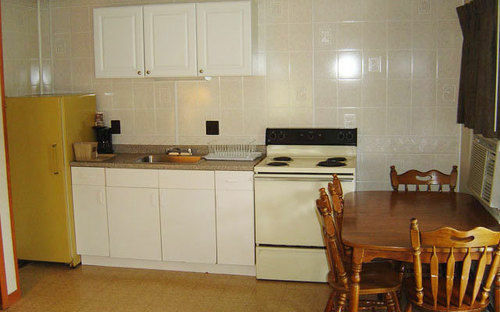 It is very clean and very affordable. 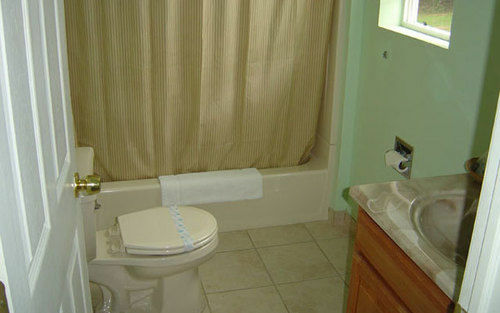 Our room was large and the bathroom looked brand new. Nice owners too! Grounds are nicely landscaped. Awesome place! 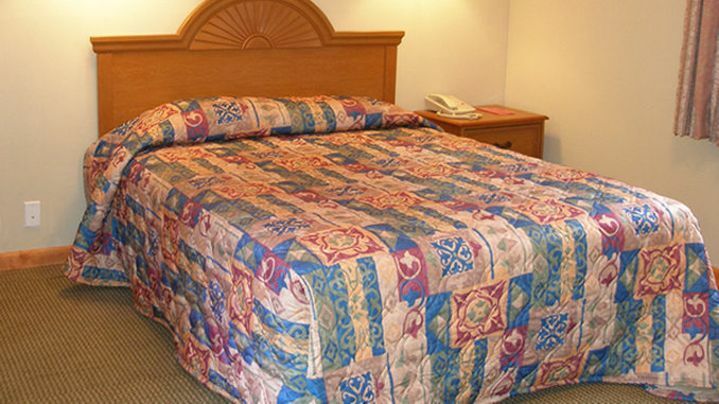 Stay here, it's a better deal than the two big chains down the street. Mina, the super nice lady at the front desk, helped us find some dinner. We're happy as clams after a long day of driving. Thanks! Good rates, and the service is excellent. They were willing to move me to a better room when it became available. 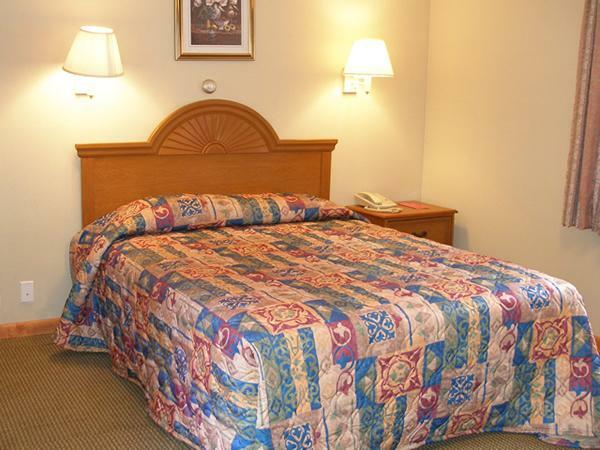 The rooms are spacious, and the bathrooms seem like they could belong in a home. Overall very positive. 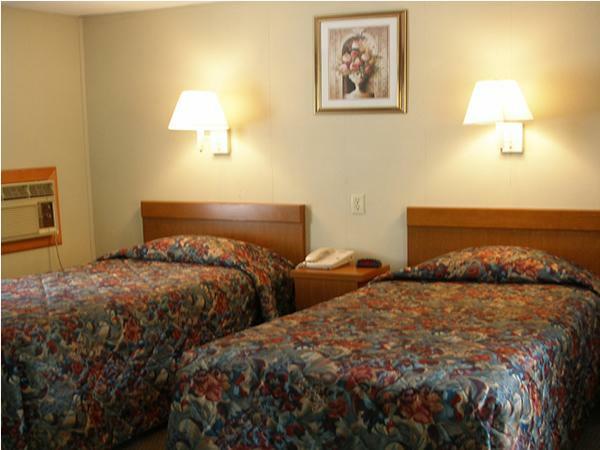 Wonderful - Clean, Roomy and Courteous ! 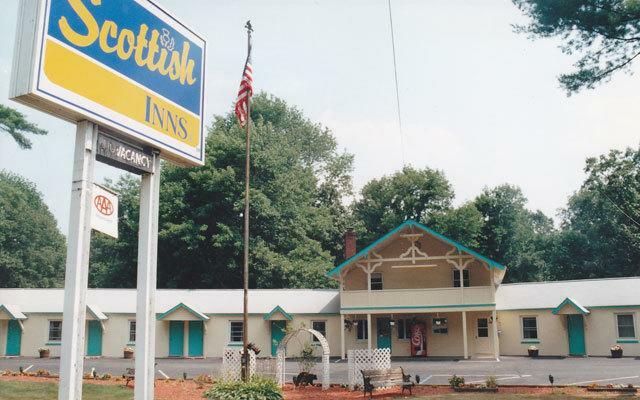 I have stayed at the Scottish Inns in Matamoras numerous times over the past few years. Owners are wonderful people, very accomodating. Rooms are clean and roomy. I have always been treated with 5 stars. 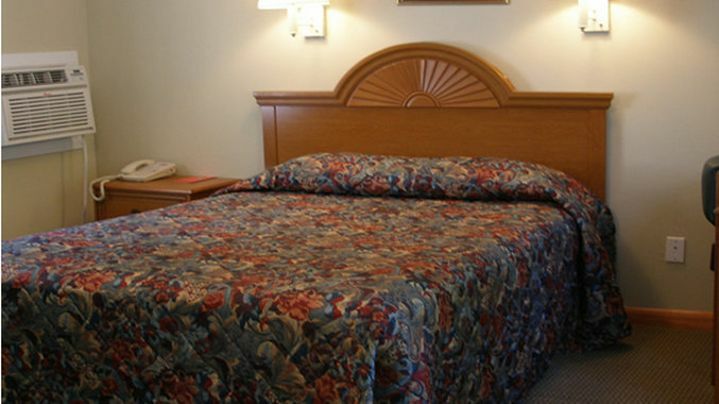 First, this is not a luxury hotel. I give it a Five Star Rating because it is all one would want in what it claims to be: a good, budget hotel. There was a refrigerator, a microwave, like-new bathroom fixtures, all was immaculate, and the bed was very comfortable. The Scottish Inn @ Milford was seriously reworked c. spring 2013. I visited there October 14. It was simply lovely: clean, carefully maintained, thoughtfully staffed, conveniently situated. I can scarcely say enough. Scottish Inns is a great place to stay. I have stayed on many occasions and would recommend to anyone. The place is very clean and the owners are really nice people. 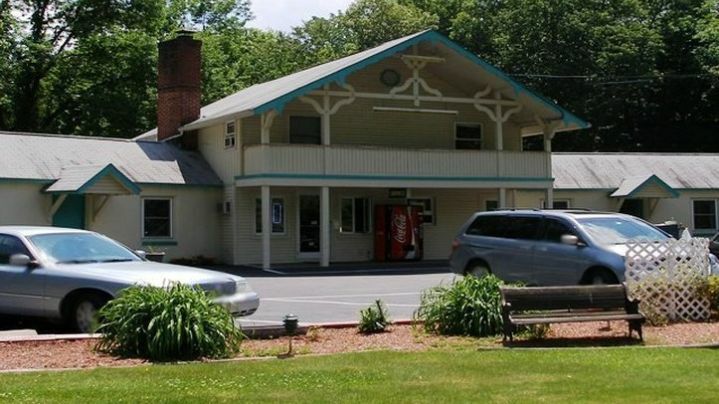 Located right off I-84 and plenty of shopping and tourist attractions located around. And a diner located next door. 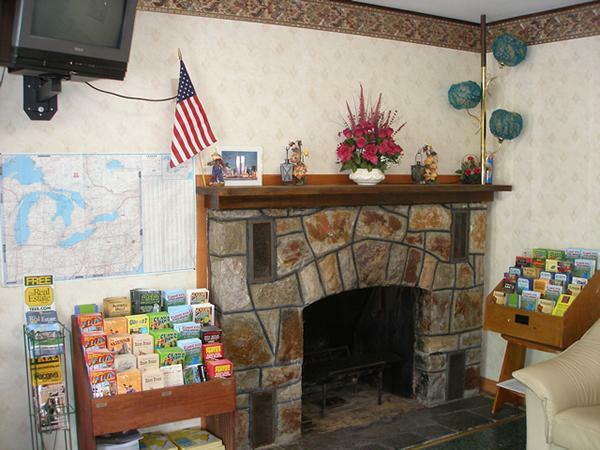 This was my third visit to Scottish inns at Milford pa and it was as friendly and clean as before. Our beds were very comfortable. 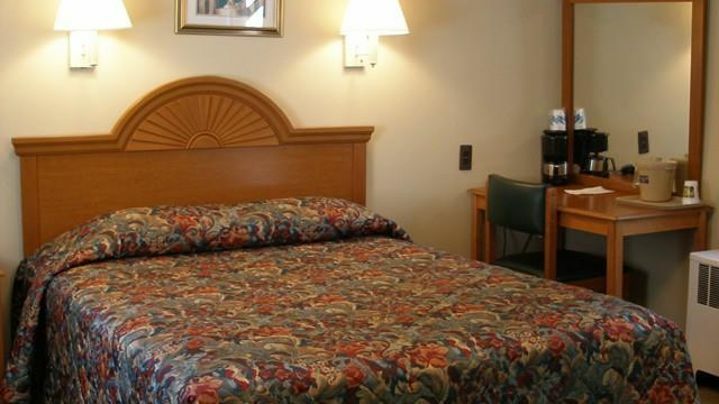 It is conveniently located right off of the interstate. Mina was the desk attendant and was kind and courteous.our room was absolutely non smoking.